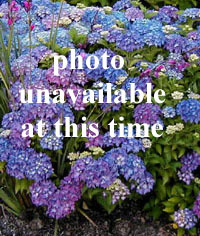 Joy Creek Photo Archive (c) all rights reserved The foliage of this very large long-lived herbaceous clumping perennial makes a very bold statement for areas with evenly moist soil. The 18-24 inch diamter, roughly heart shaped leaves of Ligularia wilsoniana can be up to 20 inches across and are supported by 36-42 inch stems. The 3 inch diameter bright yellow flowers grow in a terminal clusters atop the 4 foot stalks. The Ligularias do not like to dry out so if you have the right home for the plant it can be a good addition to your garden. With the Ligularias it is a good idea to bait for slugs and snails in the spring or anytime the critters are active. This species is named in honor of E. H. Wilson, the well-known plant collector.